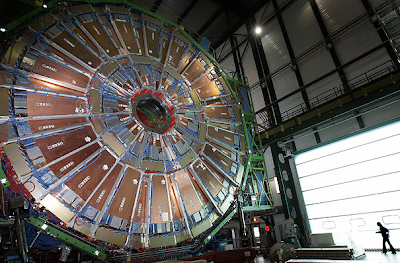 The Large Hadron Collider (LHC) in Geneva is set to go back online. The LHC of course gained infamy in September of 2008 when critics of the $6 billion particle accelerator theorized that the device could quite possibly create a mini-black hole that could expand into Earth-eating proportions. Naturally, the level-headed scientists at the European Organization for Nuclear Research (CERN) -which operates the LCH - published a safety report ruling out the possibility of such a cataclysmic event ever occurring. Of course, the doomsday device then proceeded to overheat and break down just a few days later. This time, however, the experts have re-reassured the planet’s population that everything will be A-OK. Which would make us feel better if The Titanic were not deemed “unsinkable” by its designers, only to plunge to the bottom of the ocean floor on her maiden voyage.